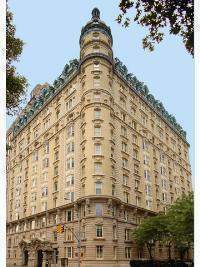 285 Central Park West is a building located in Upper West Side of Manhattan. The building was built in 1905 and has 55 units and 13 stories. Copies of the last two years signed Federal Income Tax Returns of each applicant, including W-2's. If Self-Employed, a letter from your accountant verifying your income. Statement from applicant(s) explaining in detail the source of funds for the purchase of apartment. Please upload a Letter from Shareholder stating intentions to sublet the apartment with a reason and length of time the proposed sublease will run. Please upload Letter from Shareholder's Employer confirming transfer and period of transfer assignment. Please upload Proof of Insurance maintaining Personal and Liability Insurance in the amount of $1,000,000. Please complete Financial Statement - Assets and Liabilities Statement and Yearly Income and Expense Statement (enclosed). Please upload most recent signed Tax Return. Please upload four (4) Personal Reference Letters, per applicant. Please upload two (2) Financial Reference Letters, per applicant. Please complete Lead Paint Disclosure Form. EPA Lead Pamphlet enclosed for informational purposes. Please complete Use of Residential Premise Form (enclosed). House Rules Acknowledgement. House Rules enclosed for informational purposes. Credit Check Authorization Form (enclosed). Letter stating reason for Refinancing/Home Equity Loan and information regarding your current loan. Subleasing permitted with Board approval.